Iris graphics should provide a gaming boost to Intel’s barebones miniature desktops. Intel is looking to bring down the cost of lightweight living room gaming with its latest NUC PC kits. The new models are the first to include Intel’s 6th-generation Skylake processors, FanlessTech reports. Core i3 and Core i5 versions will be available, though gamers will want to pay particular attention to the latter for its inclusion of Iris 520 graphics. In the past, Intel has only offered Iris graphics in Core i7 NUC kits. Bringing that graphics performance down to the i5 versions should allow for more affordable mini-PCs with gaming chops (though we’ll note that Intel hasn’t announced pricing yet). Both the Core i3 and Core i5 models are also getting SDXC card slots, and will have full-sized HDMI output instead of mini-HDMI, supporting 4K video and 7.1 surround sound. Otherwise, the specs are similar to previous Broadwell-based kits, with two USB 3.0 ports in front, two more in back, Mini DisplayPort out, ethernet, 802.11ac Wi-Fi, and Bluetooth 4.1. 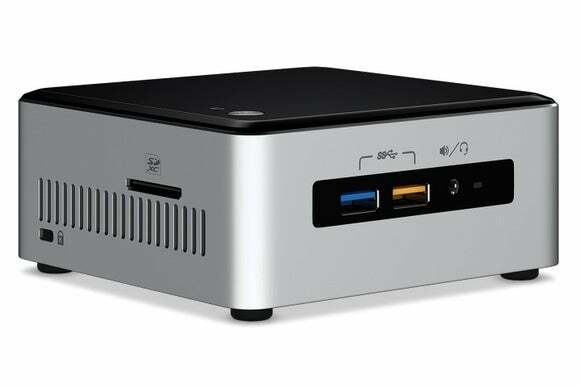 With NUC kits, the idea is to offer a bare-bones miniature PC with just the processor, ports, connectivity and power supply included. Users must supply their own RAM, storage, and operating system. NUC kits now come in two sizes, with the taller enclosure supporting 2.5-inch hard drivers drives, and the shorter enclosure requiring an M.2 SSD. Why this matters: The NUC concept has come a long way since it launched three years ago, with Intel now covering a wide range of prices and computing power. 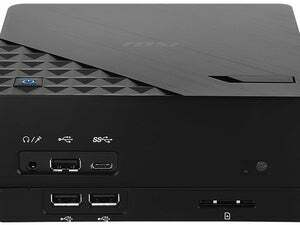 For users in search of a basic gaming PC for the living room, the new Skylake NUCs could hit the sweet spot between pricier i7 kits and low-end Braswell-powered variants.